The Mama’s Purse Blog Tour Kicks Off Today! 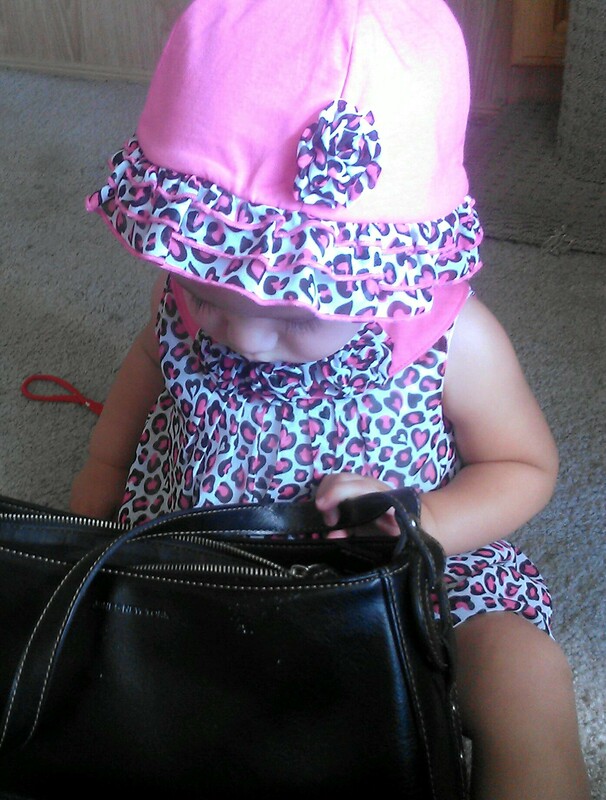 What’s in Mama’s Purse? Mama has a very exciting purse loaded with amazing things. Things you might expect like a book, a hair brush even a band-aid. But wait what else is in Mama’s Purse? Oh my, a baboon! How about a butterfly leaving her cocoon. 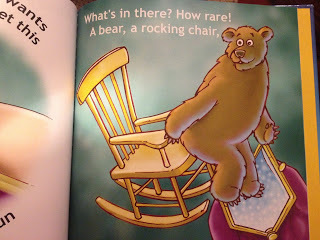 How did a bear get in there? Now what is that I smell? You have got to be kidding, it’s a trout in Mama’s Purse! This is a fun rhyming book with nonsensical items you would normally not find in a purse. It was very much a surprise to me. I have a purse full of amazing things but I don’t have a purse like this one. The author must be very aware of the fact that small children love the element of surprise and the items in this purse will definitely surprise anyone. The illustration were very colorful with bright purples, pinks and more, which also depicts the story stirring the child’s imagination with an abundance fun artwork. Mama’s Purse Blog Tour Book Review and Giveaway! 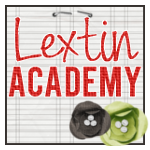 Using rhyming text and a great big imagination, AJ Irving shares the possibilities and mainly impossibilities of what could be in Mama’s Purse! The rhyming works well with words like goose, juice, moose and others like bassoon, goon and typhoon. The illustrator Rick Thomson did an excellent job of translating the words into pictures! The pictures definitely added greatly to the book. The book definitely went out there in the imagination realm! There aren’t too many purses with planes and flying pigs in them. 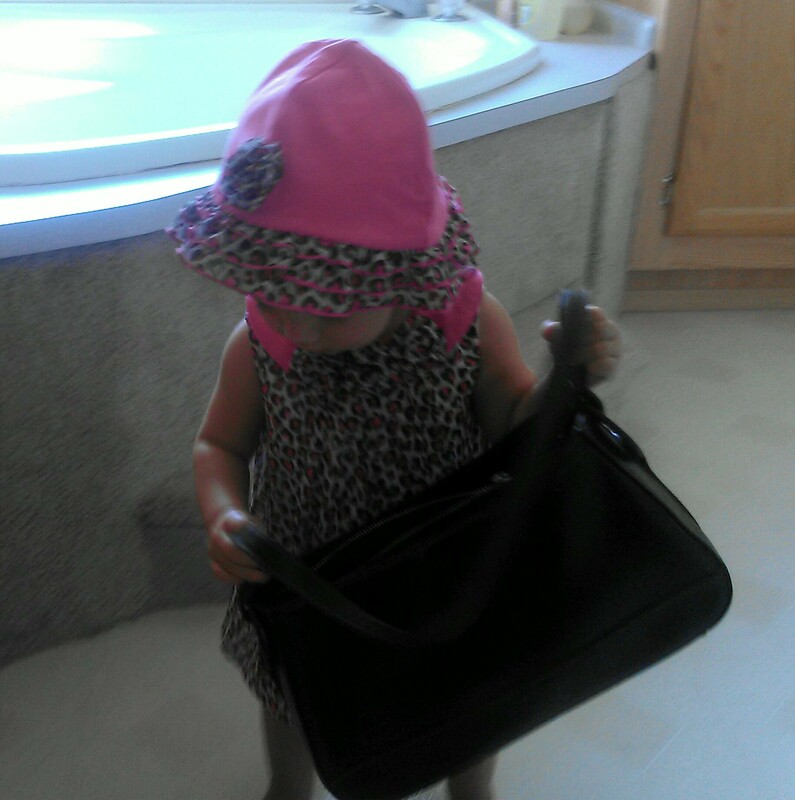 What out of the way crazy thing can you imagine in Mama’s Purse? Leave me a comment with your answer and I will randomly choose one person to win a copy of this book! Known worldwide as “The Positive MOM”, Elayna Fernandez – Bare is a bestselling author, international keynote speaker, and award-winning entrepreneurial Success Guide. Earlier this week, my girls and I had the pleasure to read ”Mama’s Purse” by AJ Irving, a positive mom of two preschoolers in Boise, Idaho. Winner of the Honoring Excellence Mom’s Choice Awards, this unique illustrated children’s book is full of fun and surprises for young and, well not-so-young readers. Us book worms love great books! “Mama’s Purse“ is very educational, introducing exciting new rhyming words for little ones, engaging them through a fun story, and encouraging them to exercise their imagination. 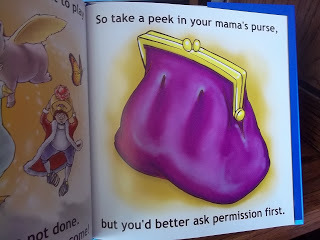 I am a huge supporter of critical thinking, and I think embarking on a journey to mama’s purse is a brilliant tactic to get started…with mama’s permission, of course!